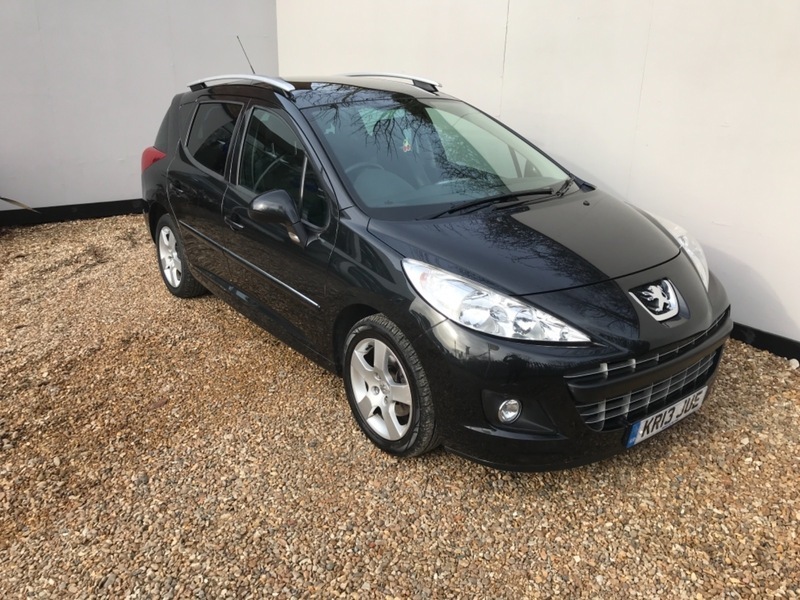 A VERY HIGH SPEC PEUGEOT 207 SW WITH only 2 OWNERS FROM NEW AND DOCCUMENTED FULL SERVICE HISTORY. THIS CAR COMES WITH 2 KEYS, A NEW MOT, HALF LEATHER TRIM, A PANORAMIC GLASS ROOF, A LEATHER STEERING WHEEL, AIR CONDITIONING, ALLOY WHEELS AND 4 X ELECTRIC WINDOWS. WE OFFER FINANCE, PART EXCHANGE AND EXTENDED WARRANTY ON ANY CAR. ALL OUR AA APPROVED VEHICLES COME WITH 12 MONTHS FREE BREAKDOWN COVER.